Silver prices were down by Rs 126 to Rs 37,635 per kg in futures trade Monday after speculators reduced their exposure despite a positive trend overseas. 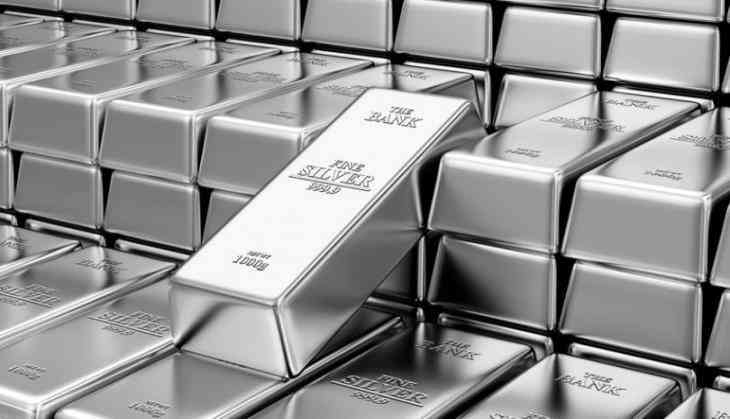 Silver for delivery in May fell by Rs 126, or 0.33 per cent, to trade at Rs 37,635 per kg in a business turnover of 21,181 lots on the Multi Commodity Exchange. On similar lines, the white metal for delivery in far-month July shed Rs 83, or 0.22 per cent, at Rs 38,197 per kg in a business turnover of 963 lots. In the international market, however, the white metal prices were up 0.32 per cent to USD 15.11 an ounce in Singapore. Marketmen said trimming of positions by speculators to book profits at prevailing levels in the domestic market mainly led to the fall in silver prices at futures trade here.